The factional leader of the Indigenous People of Biafra, IPOB, Mazi Okwudili Ezenachukwu, on Sunday demanded unconditional release of all the detained members of the group languishing in different facilities across the country. The demand was contained in a statement issued by the IPOB leader, made available to DAILY POST, where he also announced that he was offering himself to be detained in exchange for his members. Ezenachukwu, who accused factional leader of the group, Mazi Nnamdi Kanu of going into hiding, to the detriment of his followers, said he was ready to live by example. His statement read in part: “The new leadership of the Indigenous Peoples of Biafra (IPOB) calls for the immediate release of all IPOB members and other pro-Biafra agitators detained across the nation. “We demand that Mazi Chidiebere Onwudiwe, Benjamin Madubugwu and David Nwawuisi who are co defendants with disappeared Nnamdi Kanu languishing in Kuje prison should be released unconditionally, since they have no case to answer after three years of awaiting trial without proof of evidence in Abuja federal high court. 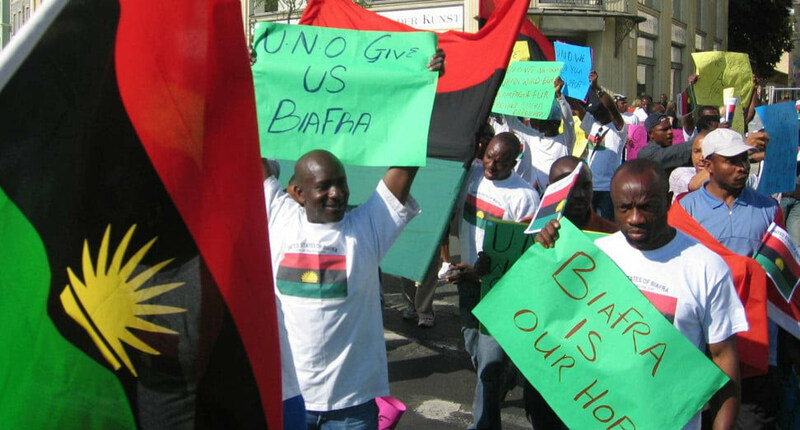 “IPOB also demands for immediate release of our members and other pro-Biafra agitators languishing in Aba, Umuahia, Onitsha, Awka and Port-Harcourt prisons. The IPOB leader called on the President Muhammadu Buhari-led federal government to “stop witch-hunting and frustrating the release of our armless and non-violent pro-Biafra agitators through institutions like the DSS and the judiciary. Ezenachukwu said he was now ready to offer himself “in exchange for the freedom of my people detained in various prisons in Aba, Onitsha, Awka, Umuahia, Port-Harcourt and across Nigeria. He chided Nnamdu Kanu, noting that “a leader must lead from front. Leadership of revolutionary movement can never be a family affair or personal imposition of authority, it must be people-oriented built with a lasting trust and people’s confidence.